Dr. Kaye attended the Illinois College of Optometry in Chicago where he earned his Doctor of Optometry in 1996 and also received a Bachelor of Science in Visual Science in 1994. Prior to this, he did his undergraduate studies at The Ohio State University. Dr. Kaye’s clinical training included rotations at the Illinois Eye Institute as well as various externships sites throughout Chicago. He enjoys practicing all areas of Optometry, but has special interest in refractive surgery and contact lenses. He has also enjoyed being a clinical investigator for Ciba Vision, Bausch & Lomb and Vistakon. Immediately after graduating from Optometry school, he worked for an ophthalmologist in the Chicago area before he and his wife decided to relocate back to Ohio and be closer to their families. Prior to joining Skyvision Centers in 1995, Dr. Kaye practiced independently in North Olmsted, Ohio for over eight years. 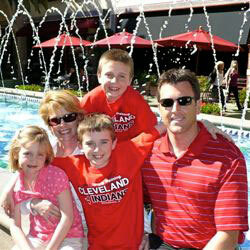 Dr. Kaye currently resides in Avon Lake with his wife Mary and children Adam, Andrew and Lauren. He was born in Euclid, Ohio and spent the majority of his life in Norwalk, Ohio. 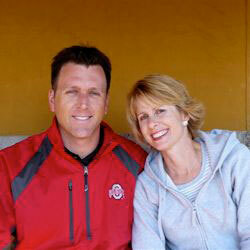 Dr. Kaye is an avid golfer and also enjoys playing tennis and running.